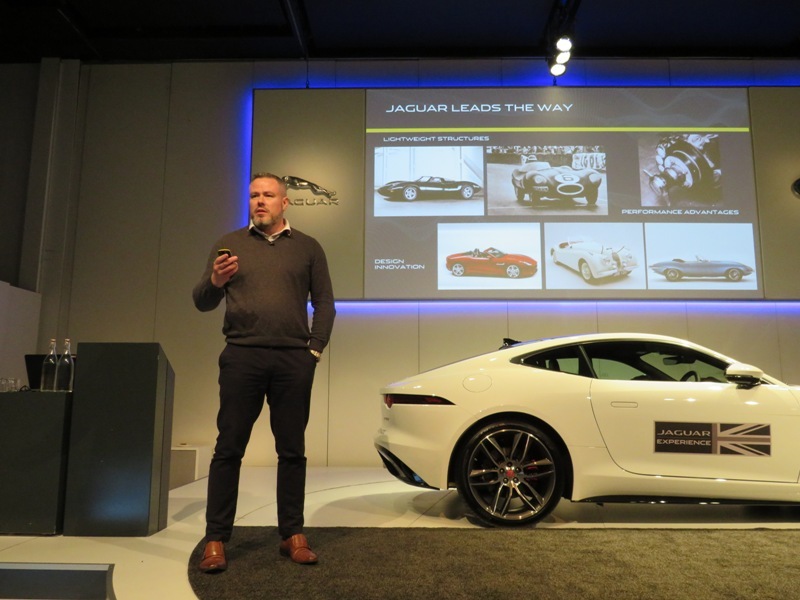 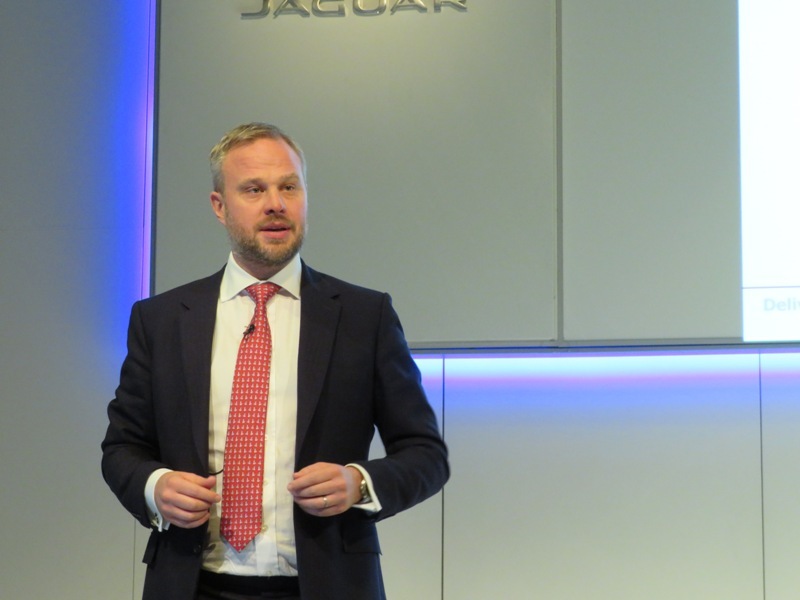 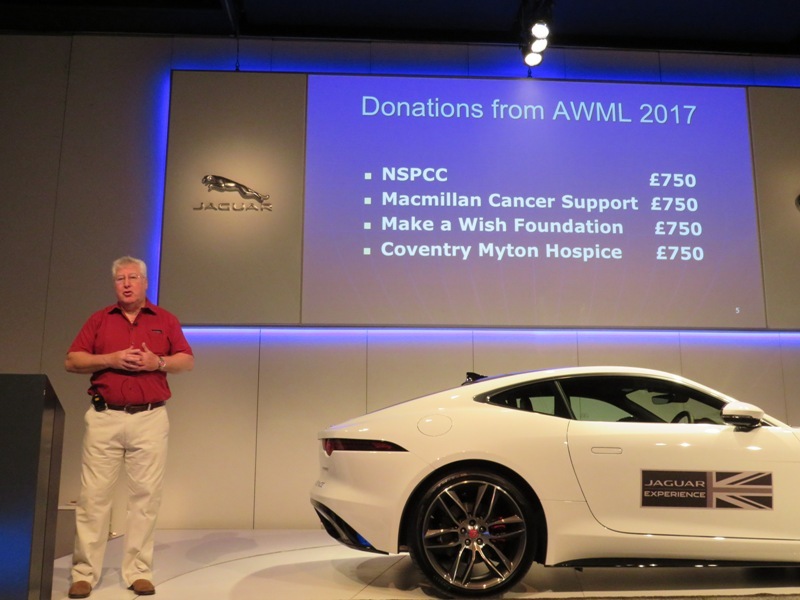 At the end of last year, the AWML took place on Sunday 25th November 2018 at the usual venue, The Jaguar Visitor Centre in Castle Bromwich, where Bob Beecham has organized and hosted this event for many years with the assistance of fellow JDC members. 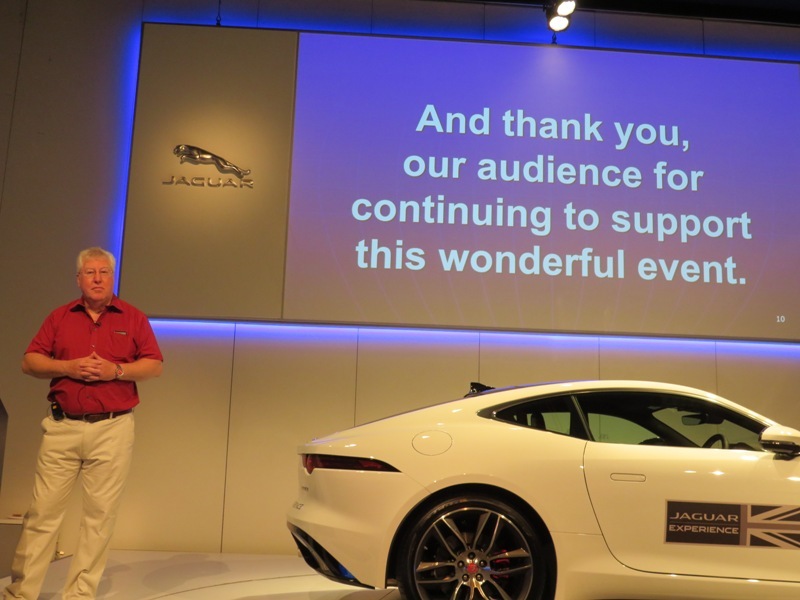 A very well put together, and deservedly well supported event, as we have all come to expect! 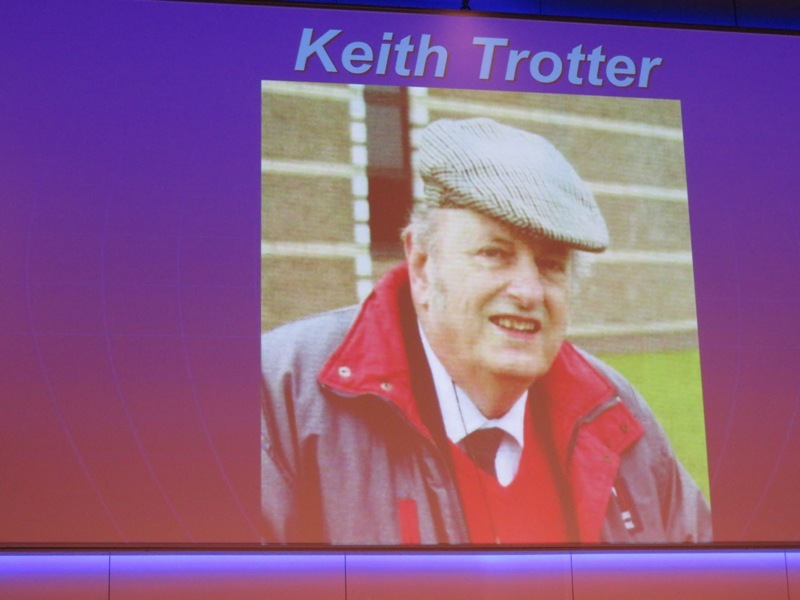 Our host, Bob Beecham, introduced the lecture with an explanation on what to expect for the afternoon, which charities it would be supporting, a brief insight into the guest speakers, and a nod of respect to the late Keith Trotter who started the AWML many years ago. 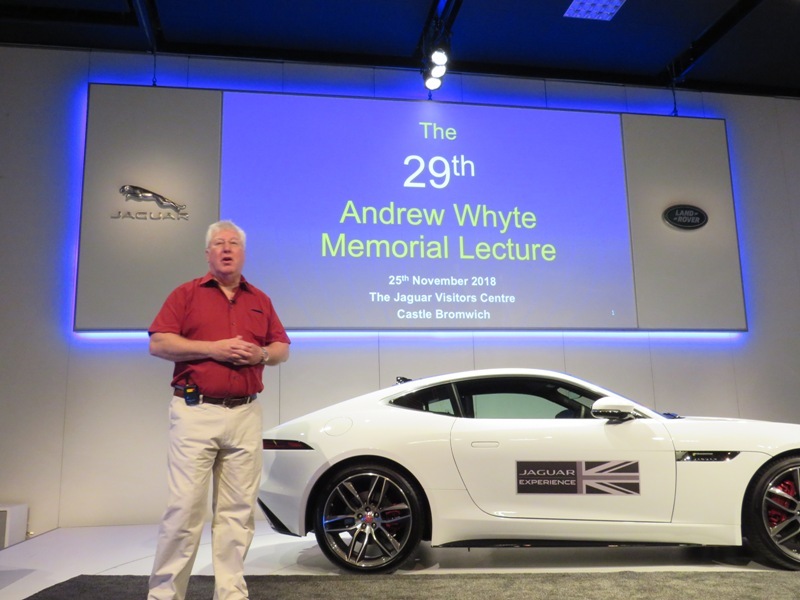 Bob took to the stage once more, following our lunch break, with A Tribute to Andrew Whyte, giving us a brief biography of Andrew Whyte and the history of the lectures named in his honour. 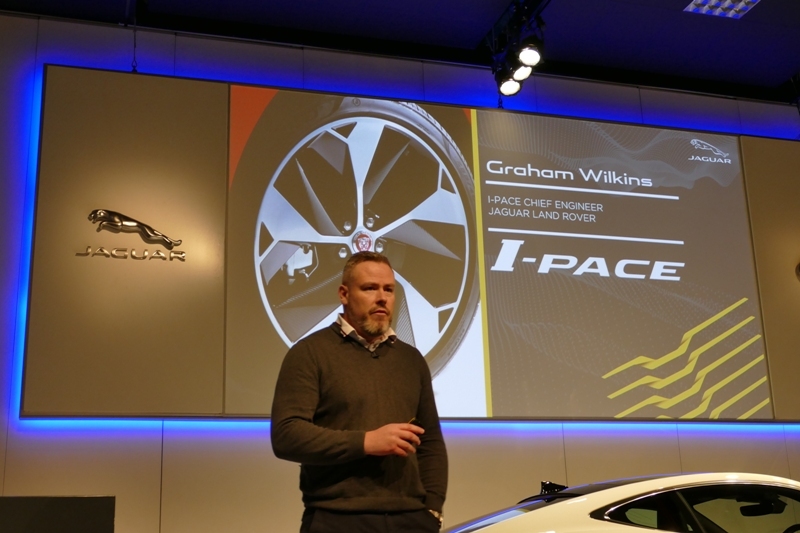 Graham Wilkins did an excellent presentation on the I-Pace to the point where those of us who were very dubious about this new technology have seen it in a new light and been persuaded to take a test drive. 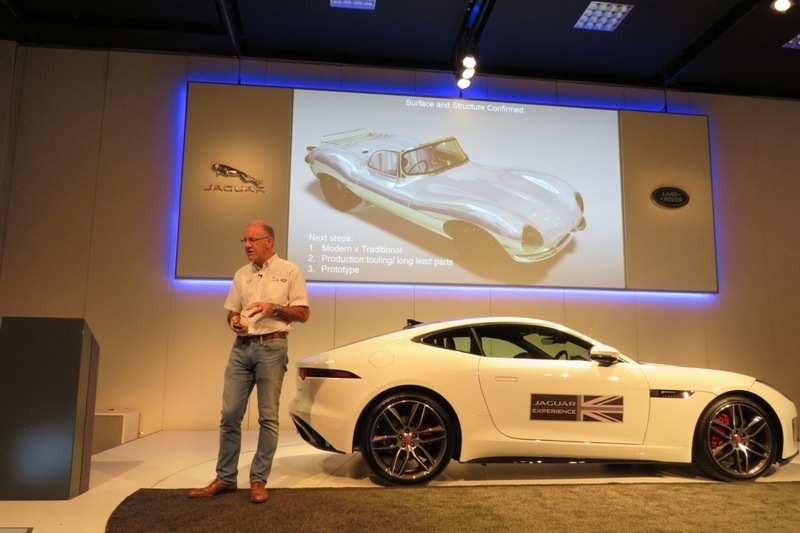 Report to follow in due course! 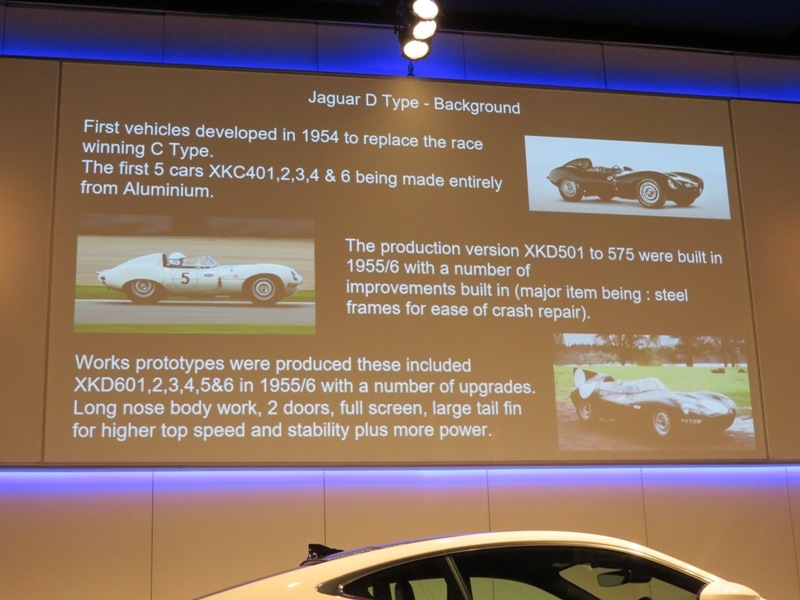 Kev Riches excellent presentation, took us through the entire Classic Works programme from the first continuation cars to projected future continuation models! 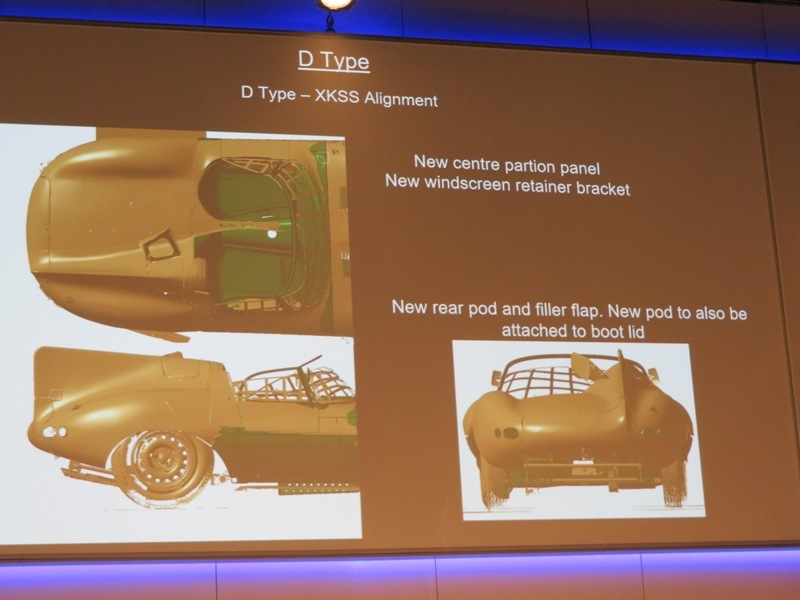 Finally focussing on the current D-type programme and how this challenging project is progressing to date. 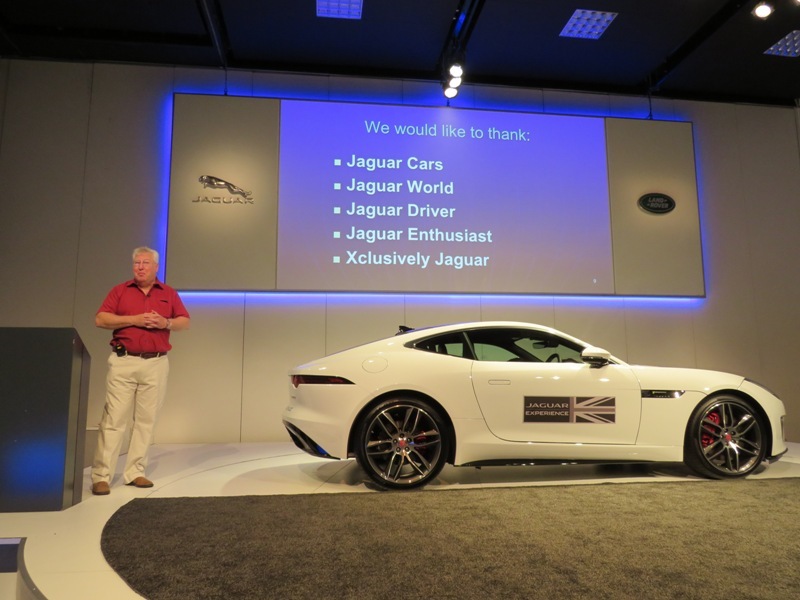 Performance and key attributes – do they meet target? 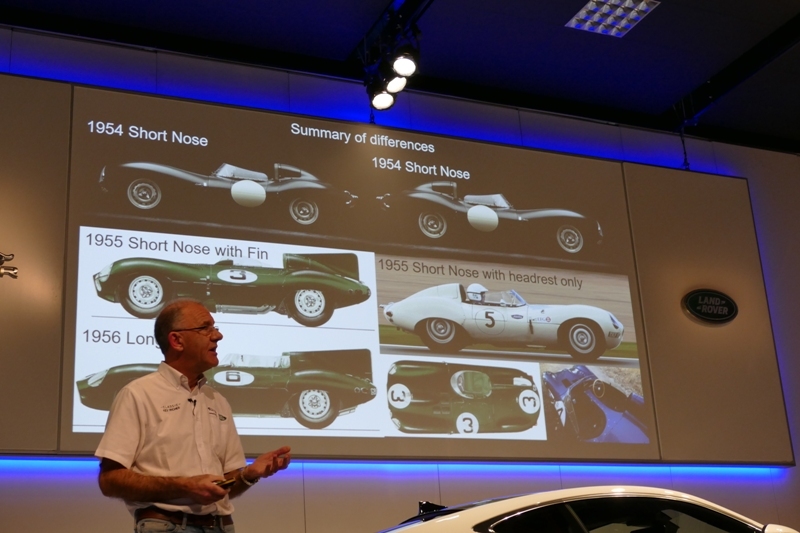 I unashamedly admit that, for me, Kev Riches presentation was the highlight of the lecture this year! 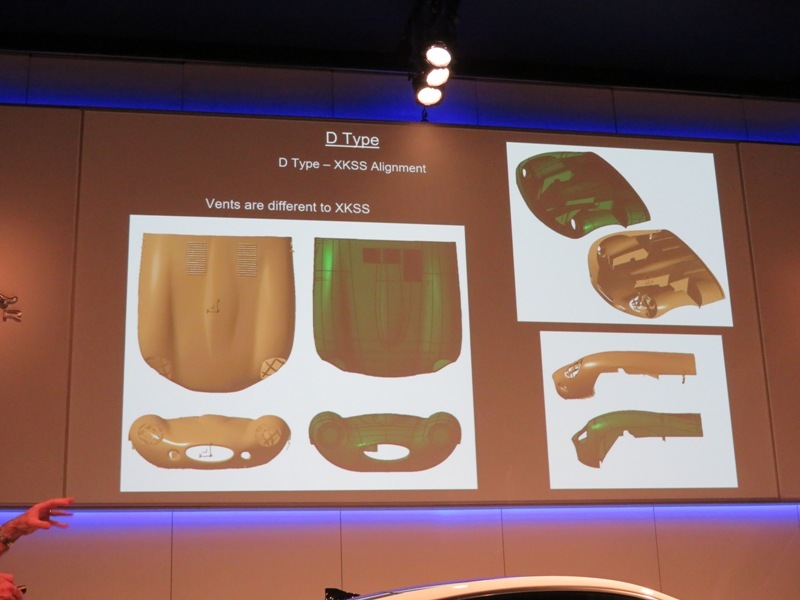 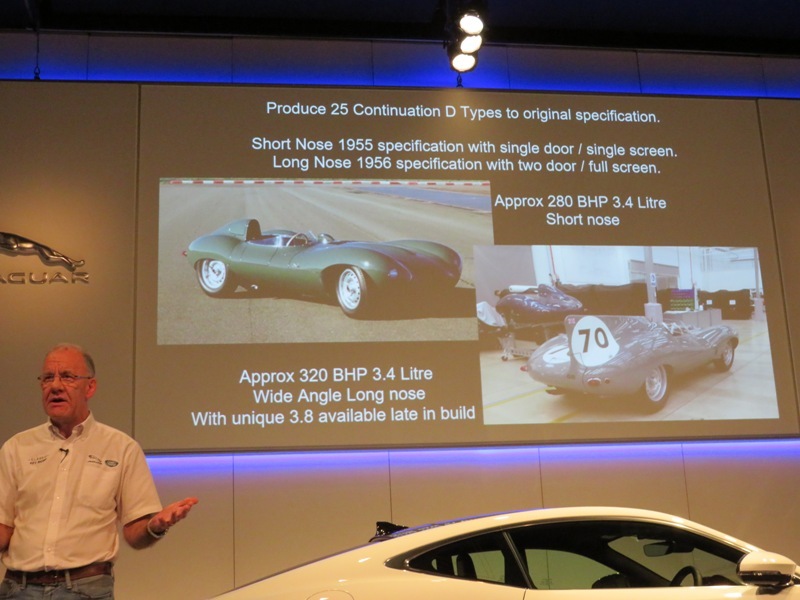 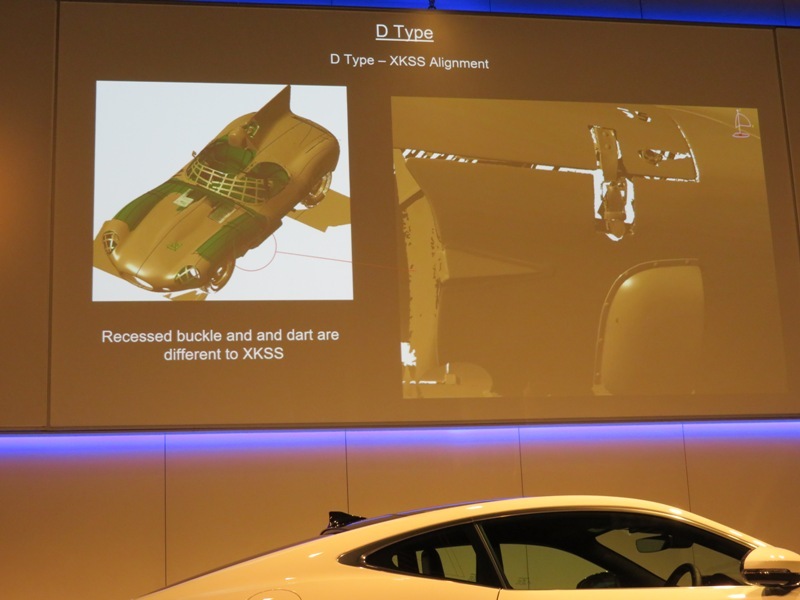 The quality of the other presentations was no less, but the D-type won over! 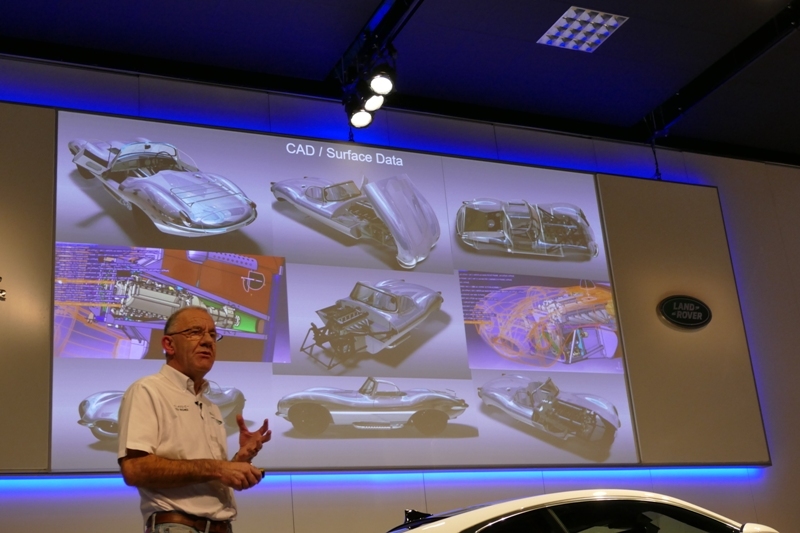 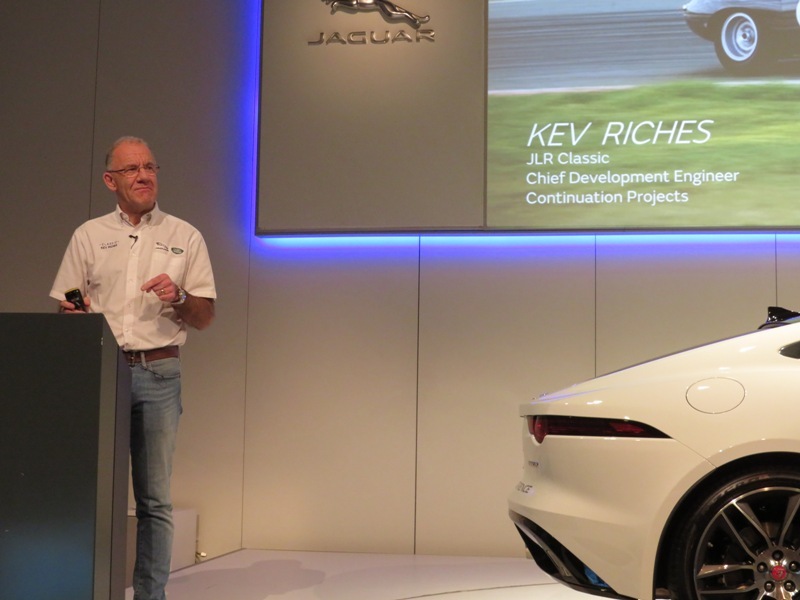 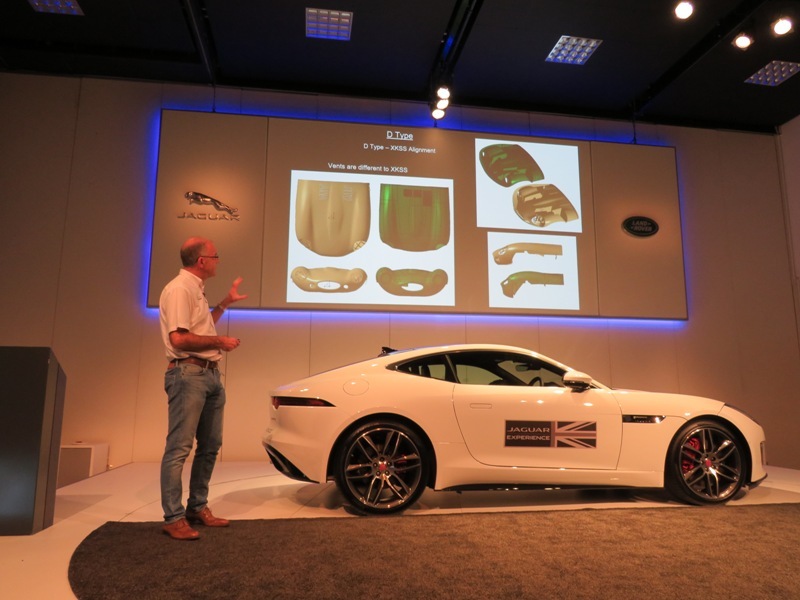 In a move away from motoring subjects, the main speakers joint presentation was Building the Nations Flagships. 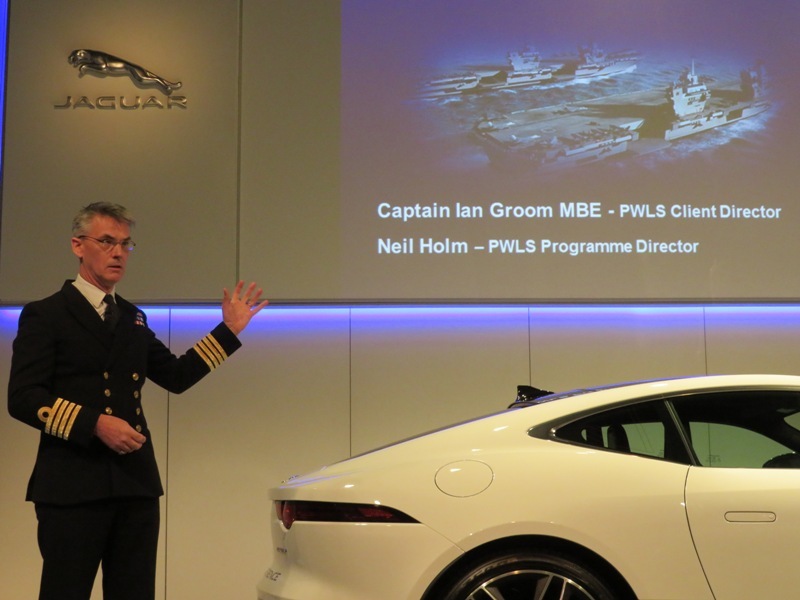 The link here is with JLR, who have supported the build of these ships. 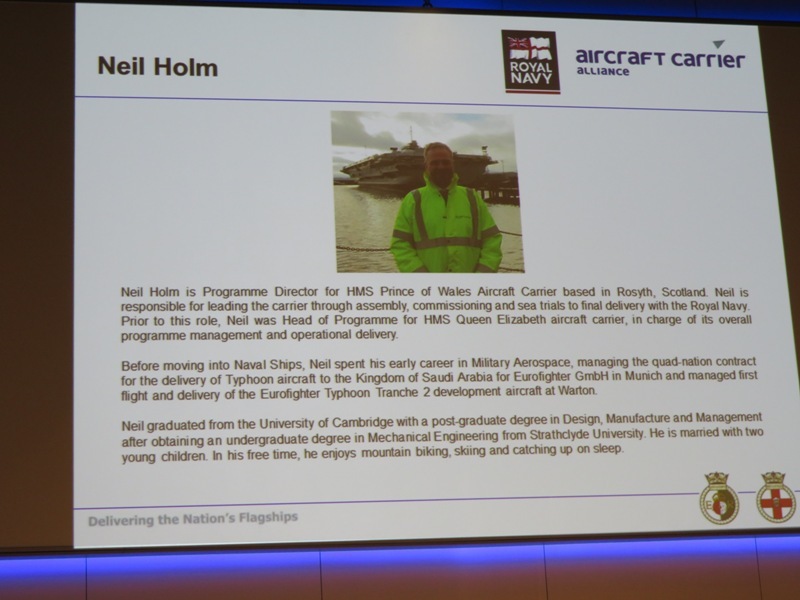 The talk discussed the challenges of building the UK’s largest and most complex warships. 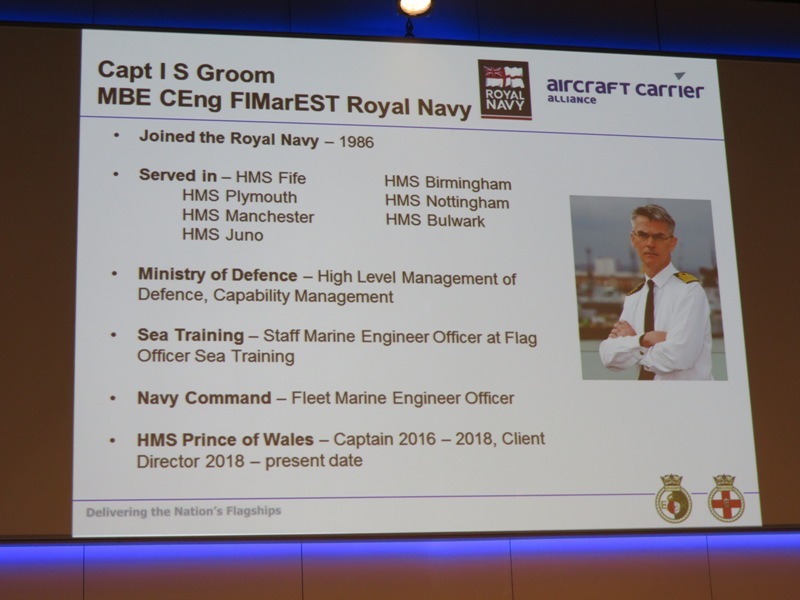 How the UK industrial base has met those challenges, and the future role of the ships, including how they will be used to promote UK innovation and industry globally. 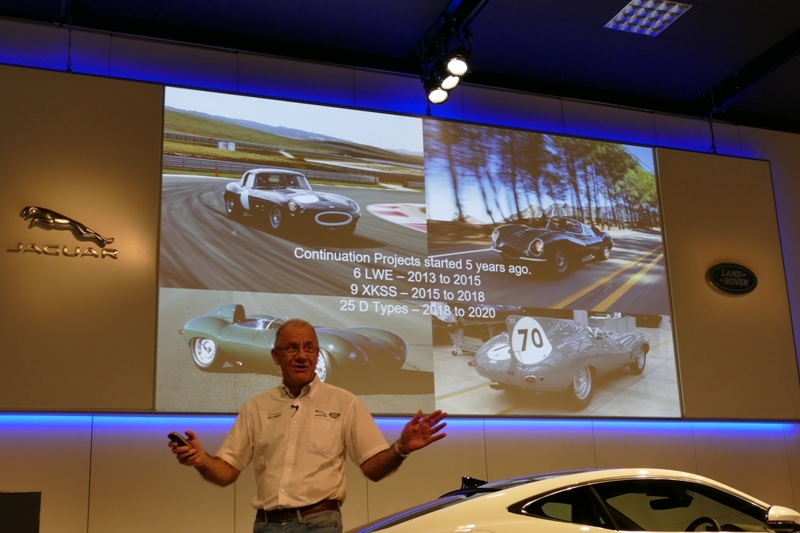 And last, but not least, Stewart Spencer recently found one of his long forgotten pictures and brought it along to the AWML – Rob and I were hoping that he would auction it so that we could have a chance to buy it, but Stewart would not be persuaded to part with it! 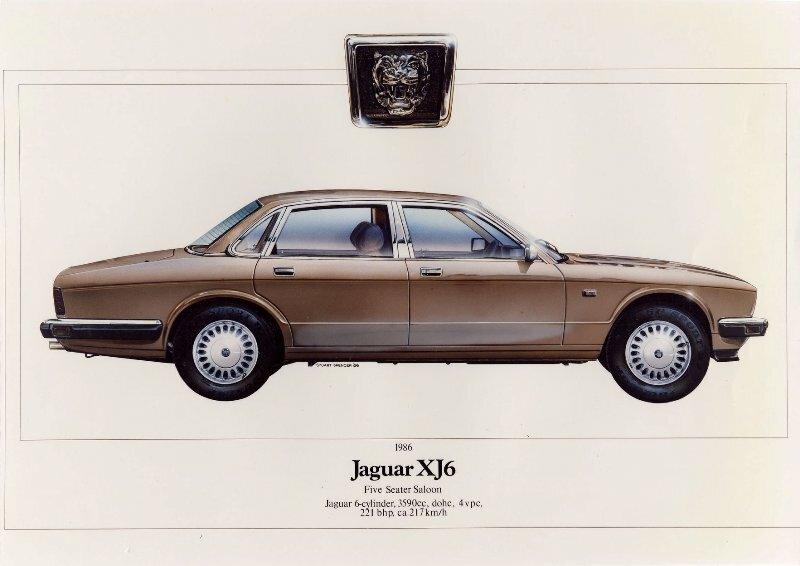 This is another of Stewart’s pictures. 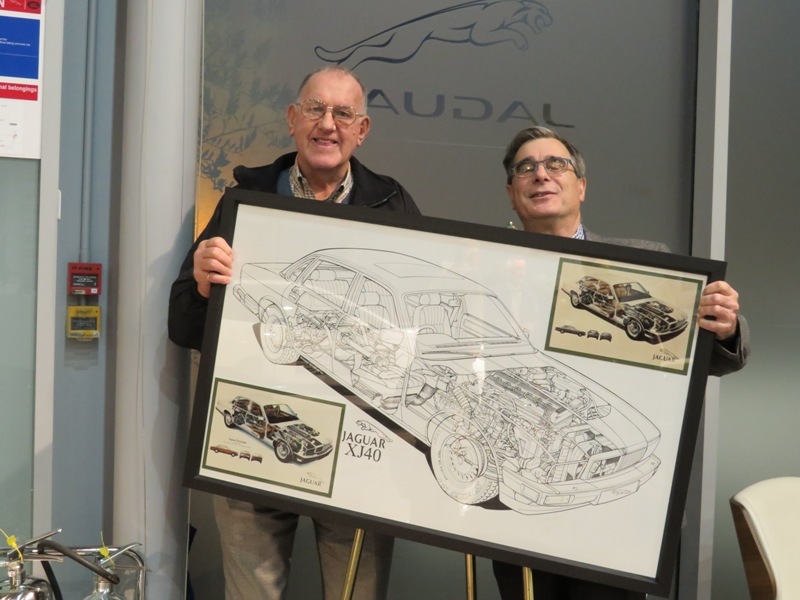 He drew this one as a gift for Jim Randle at the launch of XJ40.